Home » Social Sites and Apps » Messaging and Chat » Skype Course » What is Skype and How Does It Work? For many people, staying in touch with friends and family who live a significant distance away used to be a challenging – and sometimes expensive – affair. Is my letter or card going to make it on time? What was their address? How much will the postage be? What was their phone number? Do long-distance charges apply? Fortunately, the Internet has made these concerns largely a thing of the past. It's time for you to meet Skype, one of the simplest and least-expensive multi-function communication solutions on the Internet today. So, what exactly is Skype? Skype is a multi-mode communication tool that you can use on a desktop computer or mobile device. Once you connect with people on Skype, you can communicate with them over the program for free via text, audio, video, and more. You can also call people's phones by using Skype, but this costs money to do. Where did Skype come from, and why is it so popular? Skype got its start in Luxembourg in 2003, with the project headed by Janus Friis of Denmark and Niklas Zennstrom of Sweden. They teamed up with Ahti Heinla, Priit Kasesalu, and Jaan Tallinn of Estonia to create a peer-to-peer communication system over the Internet. The initial name of the project was "sky peer-to-peer", which they shortened to "Skyper" and then eventually just "Skype". Since then, ownership of Skype has changed hands a few times, from e-commerce pioneer eBay to the Canada Pension Plan Investment Board and eventually to computer giant Microsoft. Skype now works together with many of Microsoft's other products. Skype is popular not only because it's easy to use, but also because there are a lot of useful things that you can do with it. 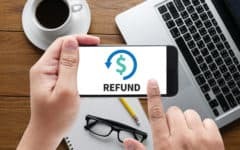 Best of all, some methods of communicating that might cost you money elsewhere can usually be done for free, such as phone calls, or Internet-based video calls or conferences! Want to give someone you know a written message? 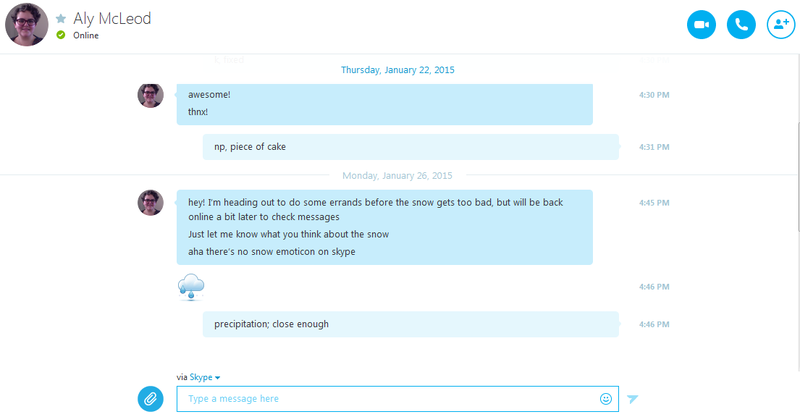 Just type what you want to say into Skype, and then send it! Want to chat with someone on the phone? Just find them on Skype and call them up! Want to send a computer file to someone? Just drop it into the program and wait for your colleague to download it! 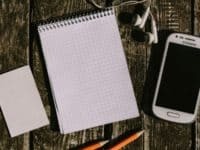 No need to worry about buying writing supplies, postage materials, text messaging plans, portable computer file storage, or long-distance phone plans – Skype has almost all of that covered! The first thing to know is that you don't use it directly on the Skype website. Instead, it's a piece of software that you have to download and then install onto your computer or mobile phone. 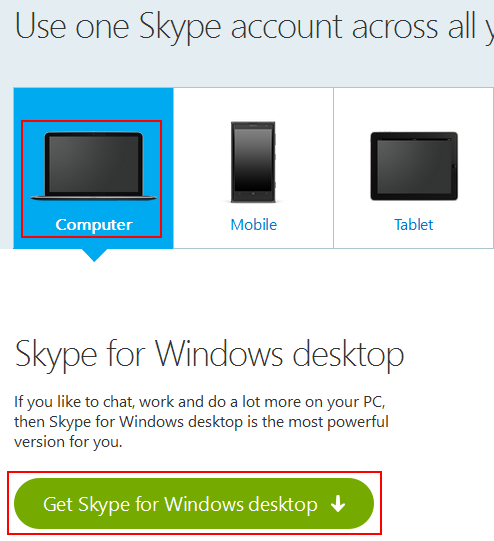 Once you get Skype set up, you're going to need to create an account for it. In addition to your name, your email address, your country of origin, your primary language, and a password with which to protect your account, you'll also need to choose a Skype Name. This is how the majority of other users will find and identify you on Skype. For further information, see our tutorial on how to create an account. Once you have an account, one of the first things that you're going to want to do is connect with people you know on Skype. This lets you communicate with them in various ways for free! Just type their name, Skype Name, or email address, and Skype should find them (assuming, of course, that they use Skype, too). Then you can send them a contact request; if they accept it, presto! You're connected! 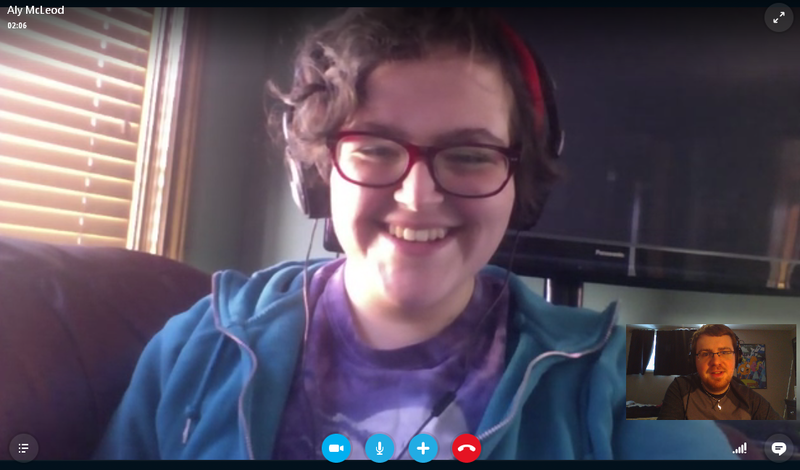 After you hook up with a few other people to use Skype together with, you can do all kinds of neat things. For example, you can use the text interface to swap text messages with your contacts, even with multiple people at once. You can also upload pictures for everyone to see, and even send computer files back and forth! 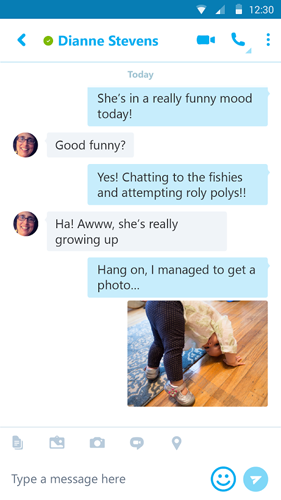 If you'd like your communication to be a little more direct, though, then Skype can help you out there, too. If both you and the person you want to reach out to are both using it at the same time, then you can start a phone call together and not need to worry about long-distance charges! Plus, you and your contact can share your computer screens with each other, or (if you have special cameras in your devices) talk face-to-face in a video call! If you need to get in touch with more than one person at a time, you can also hold phone or video conference calls with multiple contacts at once! Plus, if a contact isn't available right at the moment, you can leave a recorded voice or video message for them to play back later. One more thing to note: Skype works on your mobile devices, (such as smart phones or table computers) too. That way, you can stay connected to the people who matter to you, no matter where you're headed. Most of the functions available on Skype don't cost any money to use. You don't have to pay money to download or install the program, or to set up an account. However, some features of Skype cost money to use, though they won't come into play in most cases. 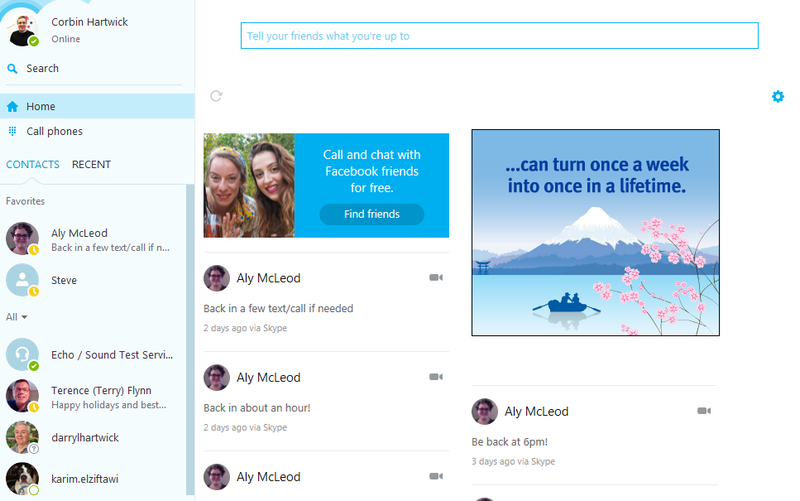 Skype also uses advertisements to support itself. Skype's paid features usually have to do with using it to communicate with landline or mobile phones (or the other way around), especially between different countries. However, if everybody in the conversation is using Skype, then these fees are usually not an issue. If you're interested, we have a deeper look at how much Skype can cost. Is Skype secure, private, and safe? For the most part, Skype is secure. It oversees user activities to make sure that each interaction is between one or more unique, registered users and can't be eavesdropped on by outside parties. Skype also contains secure payment systems, so you can safely use your credit card to pay for its extra features. 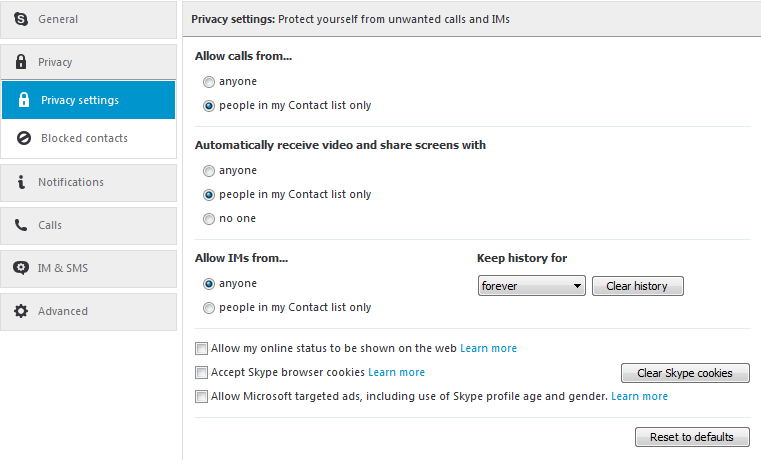 Therefore, you should remain safe on Skype as long as you are smart about maintaining your privacy. A good start to this is to adjust your account privacy settings as soon as you sign up. 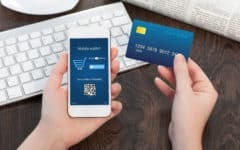 The majority of threats come from shady users trying to pull scams; they may sometimes even try to trick you into visiting websites or downloading computer files that are infected with viruses or malware. But if you stick to using Skype to communicate with people whom you know and trust, none of this should be a problem. One of Skype's biggest draws is the amount of different ways that you can communicate using it: send text messages, swap computer files, have a phone call, get together on a video conference call, leave a voice or video message, and more! Another reason that people love Skype is that most of its services are free to use, and those that aren't are comparable in price to long-distance charges that you'd have to pay anyway if you were calling other countries. It is also one of the easiest VoIP services to set up, and its interface is very user-friendly. Skype isn't perfect by any means, though. 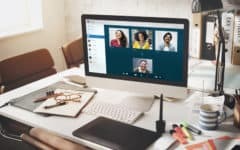 Although Skype is a program that runs on your desktop computer or mobile device, you still have to be connected to the Internet and logged into your account for it to work. This is true even for functions that you may not think would need the Internet, such as making phone calls. 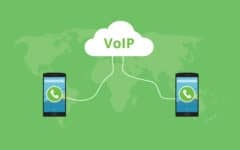 In addition, the people whom you want to get in touch with have to be using Skype (and not a different VoIP service) and logged into their accounts as well. If they aren't, you can still use Skype to call their regular phones, but this costs you money where it otherwise wouldn't. And Skype occasionally has issues with its features not working, or at least working poorly. 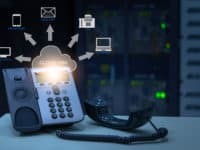 Skype is probably one of the most well-known VoIP services out there, but there are plenty of others that have their own charms. 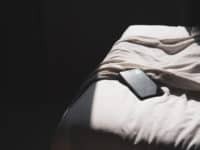 Jitsi, for example, has even more privacy features than Skype, as well as noise-cancelling features to increase call quality, though it's somewhat more complicated to use than Skype. 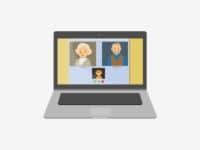 Another popular choice is Google Hangouts, which works together with a lot of Google's other products, such as the Chrome web browser or the Gmail email client. ooVoo has some neat features, such as being able to watch YouTube videos during a call and being able to record a voice or video conversation. And one of Skype's biggest rivals is Viber, which has its own social network attached to it and never clogs up your user experience with annoying ads. 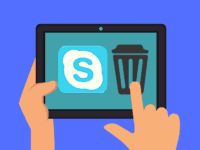 For an expanded list of services that compete with Skype, including information on why you may or may not want to use them instead of Skype, see our article on Skype alternatives. That's a quick rundown of Skype and its main features! In the rest of our Skype course, we'll go over how to use its different functions in detail, such as how to send a text message, how to make a phone call, and how to start a video chat.